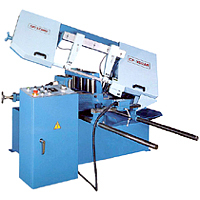 Automatic Miter Cutting Band Saw (CF-350AM) - Big Stone Machinery Co., Ltd.
(1) 1 meter roller table. 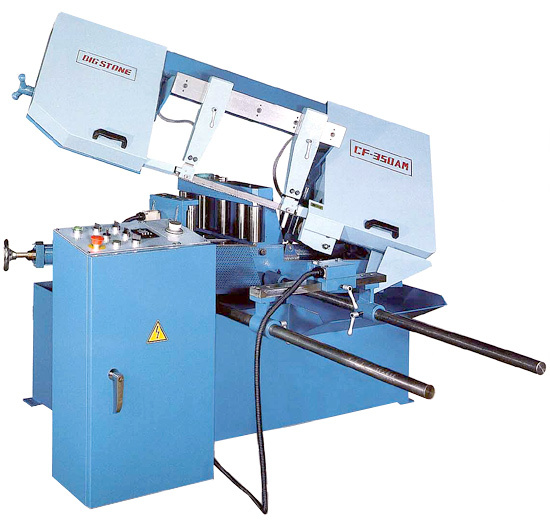 Full automatic cutting with hydraulic power roller vise for feeding. Motion sensor gives a stop while the blade slips or breaks. Fitted with 27mm wide blade for cutting larger sections. The machine stops automatically upon finishing the presetted piece number.